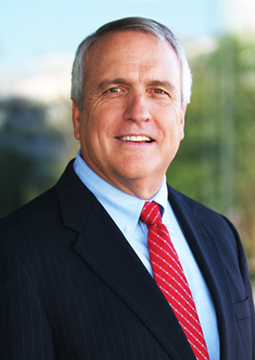 Interview with Governor Bill Ritter, Jr., the director of the Center for the New Energy Economy. 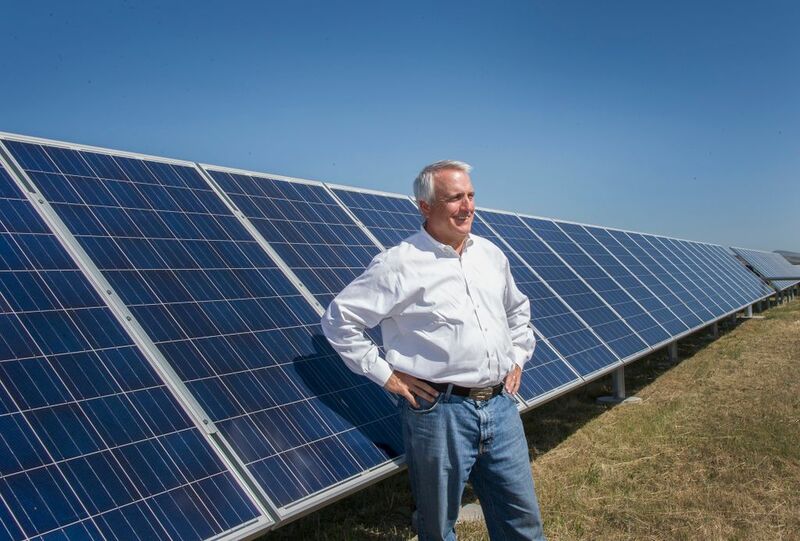 Over the last decade, Colorado has emerged to boast one of the most aggressive clean energy standards in the United States -- something that began under the administration of former Colorado Governor Bill Ritter Jr. Now, as the director of the Center for the New Energy Economy at Colorado State University, Governor Bill Ritter is advising the White House on how to achieve its clean energy goals. Natalie Pace: Colorado has a goal of achieving 30 percent renewables by 2020 -- one of the most aggressive clean energy standards in the nation. What role did your administration play in setting these standards? BR: No. It doesn't include large hydro either. If you think about Xcel Energy, which is the largest investor owned utility in Colorado, they will reduce their emissions from 2005 to 2020 by 35%. They provide power to about 65 percent of Coloradans. That came about as a result of a variety of policies that we put in place in that four-year period, [including] the renewable energy standard, energy efficiency, net metering and interconnection standards that make solar work better. BR: We did it through the Energy Efficiency Resource Standard. The requirement was that Xcel would have to reduce their consumers' energy usage by one and a half percent per year. The interesting thing about it, which made it not so difficult, is that they did it through lighting. The money that we had from the Recovery Act also helped in a significant way. We were doing about $4-$8 million in weatherization programs and we went to $80 million. There was a significant increase in spending on weatherization. It was largely homes that could have gotten LEAP money - the low-income energy assistance program money. We also did a variety of big weatherization projects. We worked with municipalities, universities, schools and hospitals. The acronym is MUSH. BR: Not on the building side. I would say that we did a much better job on the electricity sector side, in finding a path forward. We actually had the support of the utility industry. On the building side, there are states that have done a little better job. We'd be in the top tier, but we didn't set the example. We set the example on how to carve out policy that would change your energy mix and reduce your emissions portfolio in a very significant way. NP: What is the Center for the New Energy Economy and what is the Center's vision and mission? BR: A year ago, I was part of a meeting at the White House. They asked us to provide recommendations back to the White House about how they can move this clean energy agenda. By far, the biggest potential in the Federal Government for acting on a Clean Energy agenda without federal help, has to do with energy efficiency - with energy conservation. We told them our recommendation was that the President should double the goal. They've now made an amendment that is a billion dollars a year over the next five years. There is so much potential on performance contacting particularly, but there are a lot of barriers. BR: We spent half of the year in 2013 providing recommendations to the White House on how to move a clean energy agenda without Congressional action. The premise was that Congress was not going to act in a meaningful way on energy while the President was serving in office (and a lot of other things as well). On the energy front, we provided recommendations in five discrete areas, renewable energy, energy efficiency, alternative fuels for vehicles, how to change the business model for utilities and the federal government's role in rulemaking for natural gas extraction. It's really about putting in a strategy that involves Presidential action, executive agency action - all within his lawful authority. BR: Last year there were 300 pieces of state financing legislation. You can aggregate that and align it with something at the federal level, and do things that you can't do state by state. BR: Colorado is the 9th windiest state. We're the 6th sunniest state. One of our things was to go after Vestas Wind Systems. While I was governor, they built four separate plants here. Those plants are operating at maximum capacity right now. There are 1500 workers in Vestas Wind plants in Colorado. We went from 200 and some megawatts in wind power when I became governor to having 2700 megwatts seven years later. We're building up a lot of rooftop solar. Those are real jobs - people going to work every day. It's a transition. BR: People kept saying, "You've got to pick winners and losers." That's actually not right. What we're trying to pick is a 21st century economy that can employ people, but at the same time address emissions and try to hold rate payers harmless. We want to find a way to do this equitably so that you don't build this New Energy Economy on the backs of poor people. BR: We're the tenth largest coal producing state. Everybody wants clean energy, but it is hard to imagine two or three years out when you are worried about putting food on the plate today. In the last year of my term, I signed a bill called Clean Air, Clean Jobs, where we took down a gigawatt of coal and transitioned that to natural gas. In the natural gas economy, the oil and gas economy employs over 110,000 workers. So, you don't have to be dislocated. We're not going to transition out of coal anytime soon. Even with our aggressive clean energy agenda, coal is still going to be 30 percent of our state portfolio by 2030. BR: The EPA deputy director is now looking for how you reward the best players in the natural gas industry for employing best practices in the oil fields. That's one of our recommendations. We said, "Like the Baldridge Award. Let's give a George P. Mitchell Award that says we want to acknowledge that there are good players, and recognize the good players out there." Stay tuned for the second half of my interview with Governor Ritter when we discuss how Colorado became the leanest, fittest state in the Union, and what other states can do to reduce obesity from the national average of 34 percent to Colorado's 21 percent.